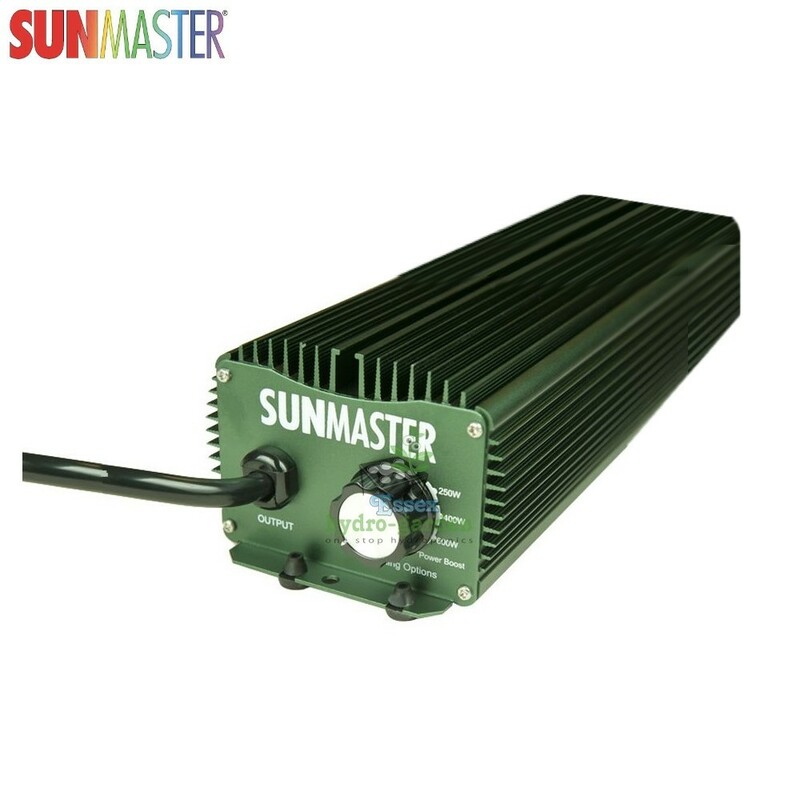 Sunmasters digital ballast is a compact, versatile and economical ballast designed to run HPS, MH and Dual Spectrum lamps, plus being a digital ballast allows it to run silently along with low operational temperatures. Capable of powering lamps ranging from 250w to 600w, due to its variable power output dial, gives the user freedom of choice regarding lamp sizes along with the choice to run 600w lamps at power boost ( 110% ) delivering 660w! Sunmasters digital ballast is a compact, versatile and economical ballast designed to run HPS, MH and Dual Spectrum lamps, plus being a digital ballast allows it to run silently along with low operational temperatures. Capable of powering lamps ranging from 250w to 600w, due to its variable power output dial, gives the user freedom of choice regarding lamp sizes along with the choice to run 600w lamps at power boost ( 110% )delivering 660w!